This iconic bracelet is crafted with hand set geometric semi-precious gemstones and ethically sourced diamonds, hand-selected and cut from the rough by artisans accomplished through years of experience. 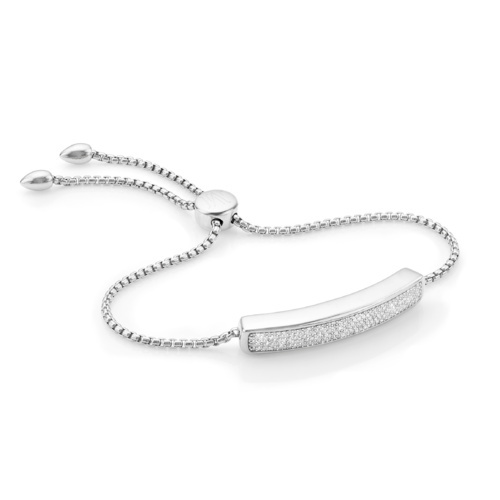 Each Baja bracelet features delicate shaped buds at the end of the chain, which have been designed by Monica with specific attention to detail resulting in a highly elegant finish. Each stone is hand-selected and cut from the rough to bring out its natural vibrancy and ensures an eye-catching finish. One sizes fits all due to the innovative silicon slider. The Baja bracelet is available in pavé set ethically sourced diamonds totalling 0.52 carats. Choose your stone to suit your mood and stack elegantly together for a sharp and geometric flash of colour. 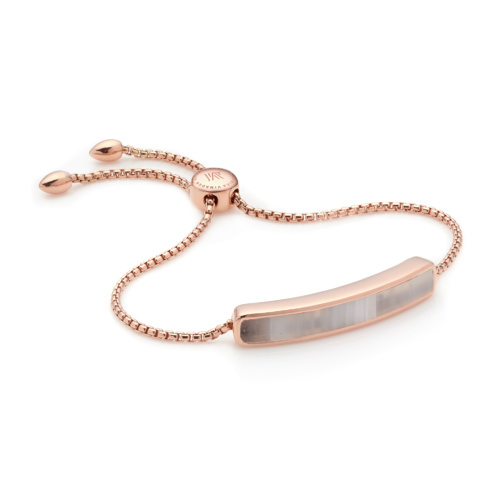 The Baja bracelet is available in Sterling Silver, 18ct Yellow and Rose Gold Vermeil. The Vermeil technique was established in France in the mid-18th century and involves the plating of Gold or Rose Gold on Sterling Silver to produce a rich, qualitative finish. 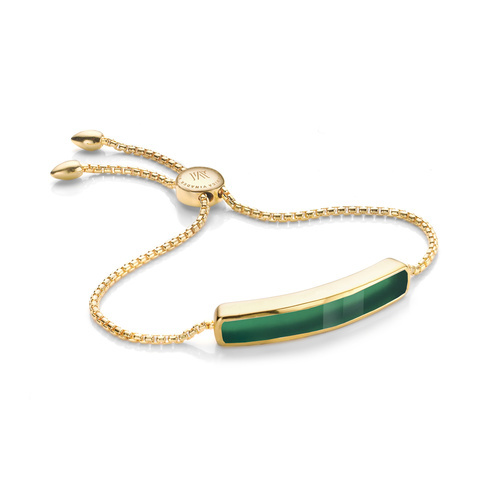 The timeless style of the Baja bracelet injects colour and vibrancy to your jewellery collection. 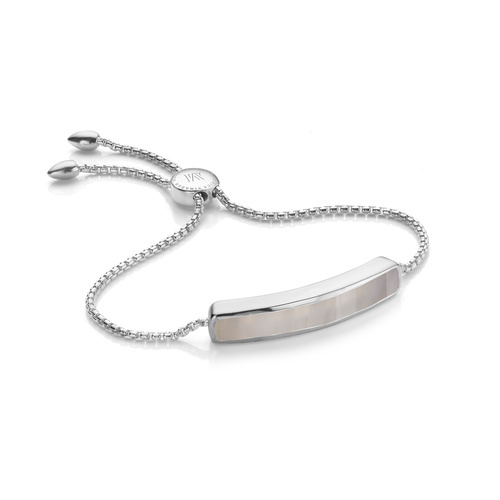 Stack and style together or contrast with engraved pieces to make a statement. Show the world your style and share your love for the Baja bracelet by using #MYMV on your social updates. 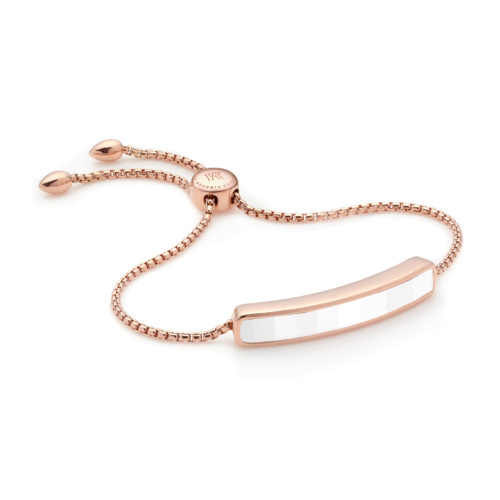 A striking look wearing the white Chalcedony Baja bracelet in Rose Gold Vermeil.